Put your message on a custom engraved metal card. Your custom message is expertly lasered on a standard business card size metal card (3" x 2.5"). 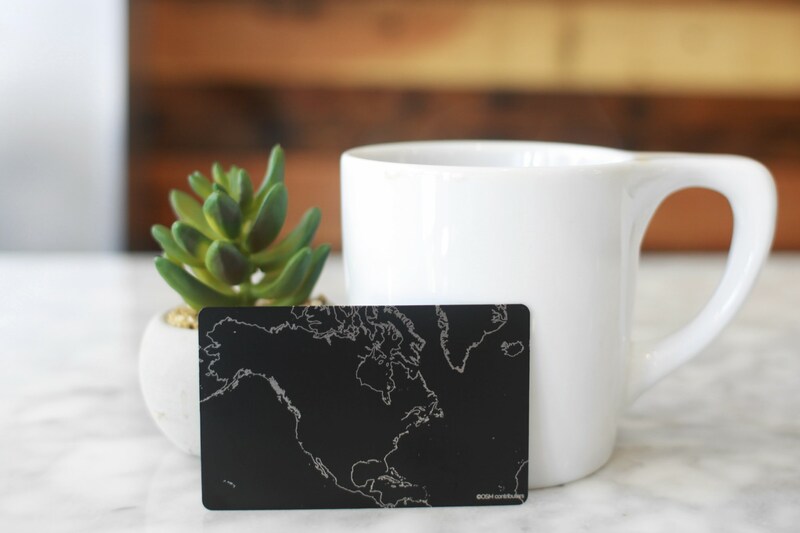 Optionally engrave a map on the back for $10 more. 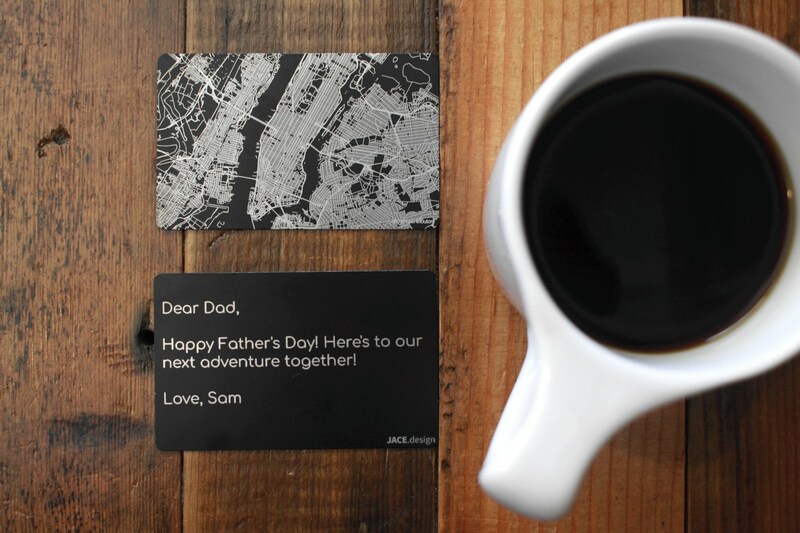 Put your message on a custom engraved metal card. Your custom message is expertly lasered on a standard business card size metal card (3" x 2.5"). Optionally engrave a map for $10 more. Ships in 2-4 business days. Cards are shipped together with drinkware items and pens only. 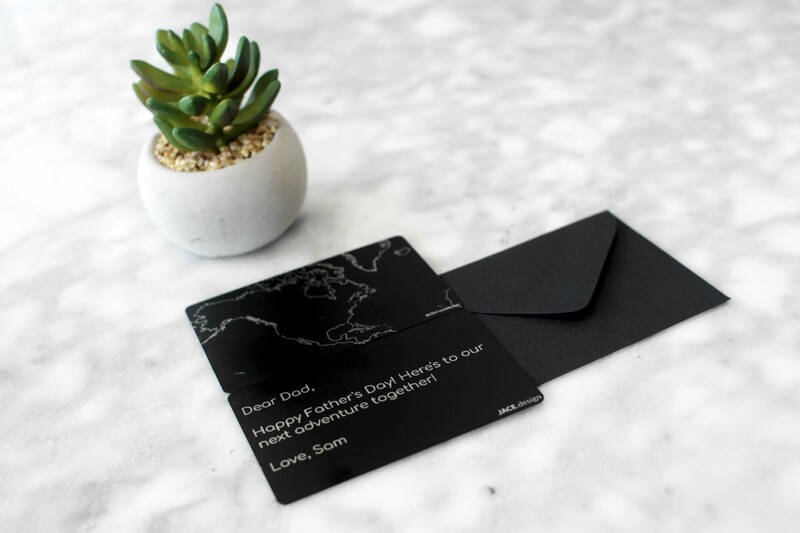 Engrave your special message on our sleek matte black stainless steel cards. 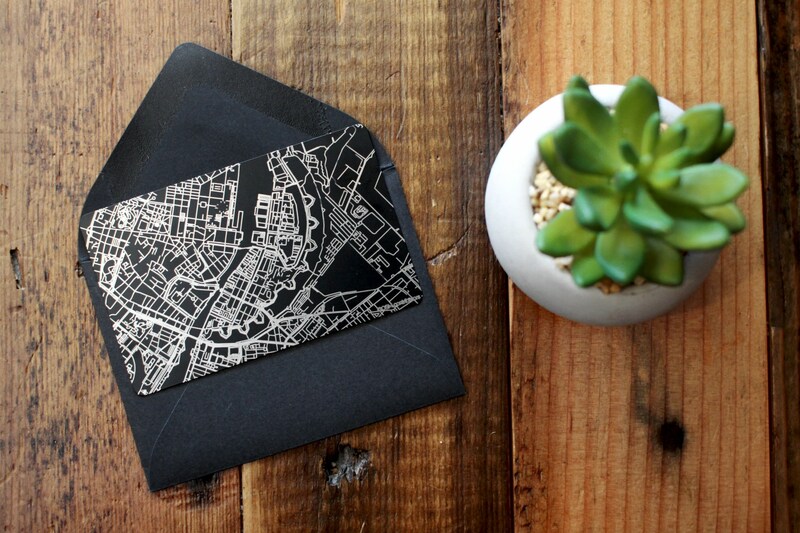 Add a map on the back to mark a favorite place or memory. These cards can be included on any order as a gift message or ordered by themselves. Size:Each card measures 3" x 2.5" (86 cm x 53 cm). The card is 0.3mm thick. 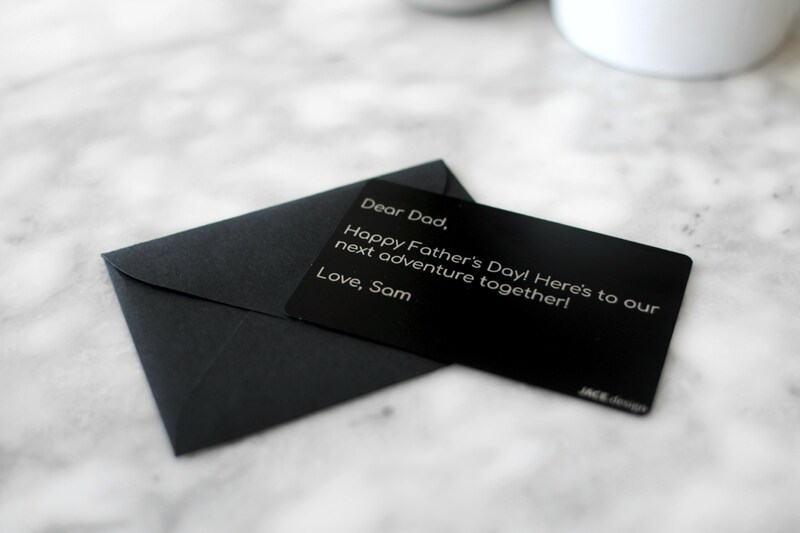 Comes packaged in a 4" x 3" matte black envelope. Laser Engraving Process: We use a state-of-the-art MOPA fiber laser to etch each stainless product in our workshop here in San Francisco. The laser is finely tuned to mark the map one small section at a time.